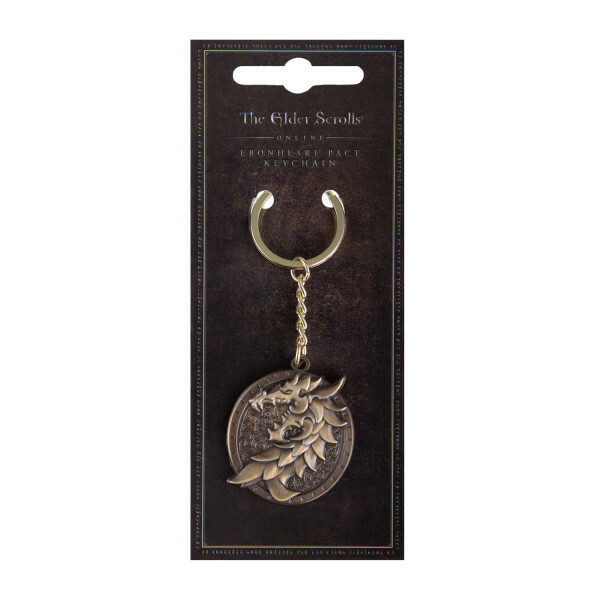 This Premium Keychain shows the Ebonheart Pact Logo of The Elder Scrolls Online. A metal keychain with raised and embedded details in brushed metal finish. 4cm in size plus 6cm chain & ring. Packed on blister card. 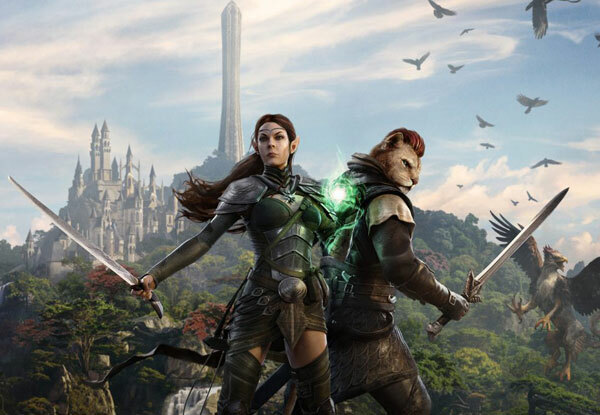 The Elder Scrolls Online is an upcoming Massivly Multiplayer Online Role-Playing Game being developed by ZeniMax Online Studios. It is part of the Elder Scrolls video game franchise and the first MMORPG in the series. It is available for PC, Mac, PS4 and XBox One. With The Dark Brotherhood it has recently received it's fourth game pack.